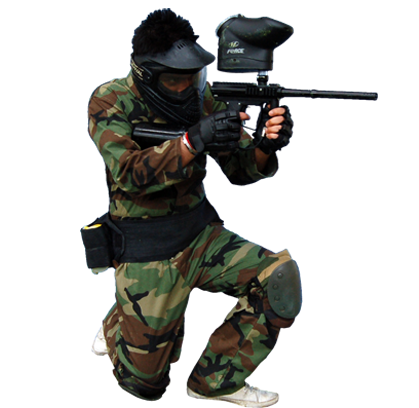 Paintball is the perfect way to celebrate your special events. 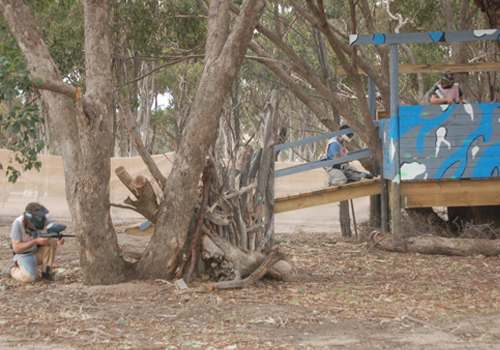 Little River is Melbourne's premium outdoor paintball center. It boast 6 massive themed fields, awesome organiser bonuses, plus the cheapest paintball prices you will find at any outdoor center in Victoria. If heading from Melbourne, Little River is located just past Werribee on your way towards Geelong. Awesome Day, we had a group of 40 odd people and we all had a blast. Well organised, loads of fun and would def recommend for a large group activity. The "free for all" at the end was the highlight!!!!! A fun day for a family group! My family gave me the gift for my 50th birthday. Had a great day with Will as our lead. Managed to shoot all my family during the day even if two were on my side. Great fun, well run. Would recommend to anyone. I had such a great day playing down at Little River. As we were a party full of girls who had never played before, the instructor was incredibly helpful, and the games were great fun. Will be back soon! My group and I had a wickedly fun time at little river. Id been once already but everyone were newbies. They all said it was worth the pain for so much fun over the three hours. Highly recommend these guys and this outdoor facility. Such a great day, was well organised and the staff were very accomodating. Everyone that came had a great time and the games organised by the staff made it that much more enjoyable. 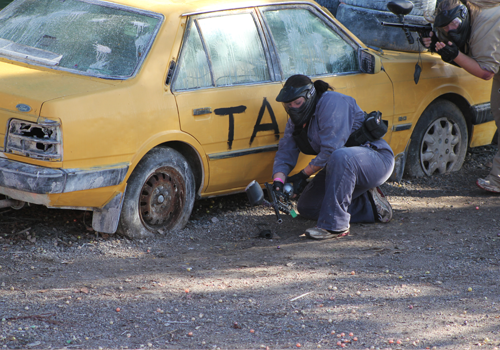 The different fields we were able to play on were set up really well and the lay out allowed you to see who you were a shooting at (unlike another paintball facility I played at that was in the bush and trees made it harder). Overall it was a great day and couldnt be happier with how it went. Will definitely be back! We all had a great time. Very well organized. Excellent field, and friendly staff. Had lots of fun. 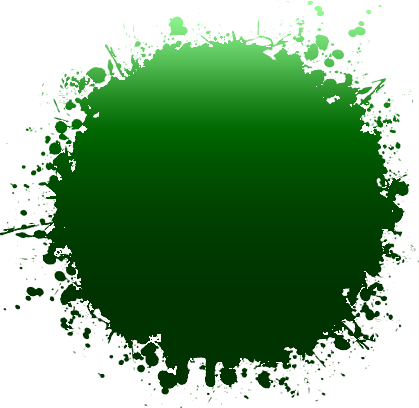 From the moment we visited the website with the idea of booking a paintball day, the World Series Paintball (WSP) team could not be faulted. The live chat feature available on the WSP website may have appeared like another pop up at first however made sourcing information, finding a date and the process of booking extremely easy. It also came in handy keeping the WSP crew in the loop with how our booking was coming along and potential numbers we would be playing with as everyone confirmed their attendance for the day. Once we found a suitable date, Travis called me upon my request to take a small deposit for the day to lock us in. It became clear that communication was a priority with WPS as we were called prior to the event to make sure everything was in order for our day. The Website gave very clear instructions to find the venue (Little River) which even our older participants were able to follow without GPS. Our day started with registration, safety briefing and once we were geared up and had guns loaded, it was game on. We had between 2-4 games on each of the 4 playing fields in our 4 hour booking time. With a 20 min intermission in the middle. The referees were able to set up some great games for us which made for some sensations gun play. For our group of 24 People, we provided snacks and drinks in between however items were available for purchase at the venue also as reasonable prices. We had an outstanding day and will be booking another day with WSP again in the future. Thanks again WSP and well done! All the players had big smiles from enjoyment and fun they had. Talking about going again!!!! Had a group of 11 guys, all had a great time playing through the different areas. Was a painful day, but a fun day. Would recommend heading down to little river to give it a go. Online booking process was easy and came with a friendly followup call to confirm details. Registration on the day was efficient and the necessary safety briefing was clear & prompt. The rest of the time was full of action with a good variety of games that were facilitated by a supportive and friendly host team. All in all a great day! Ill be back! Thank you for an awesome day! I had organised the day for work and everything was perfect. Staff both on the phone and at the venue were friendly and thorough. Everything ran really smoothly and my co-workers are still raving about it! Thanks so much! We will be back! 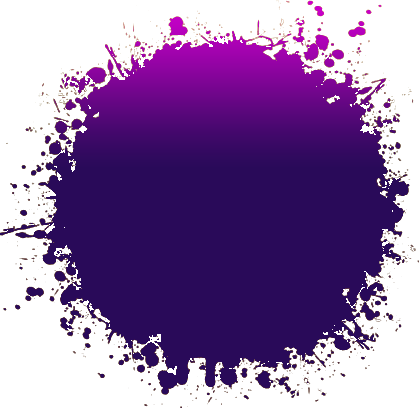 The staff were very helpful and the location and game itself were very fun. Not one moment is boring. I would highly recommend this as a party- my boyfriend absolutely loved it. Paint balling was great! Everyone in our group had a great time, especially the birthday boy (it was a surprise day out for him). The only thing that I could say might make it better, is to just have a little bit more time on each course. It felt as though you were just getting into it, and suddenly it was over. Otherwise it was a fantastic day and the man that took us around was great. The whole thing was well organised and seemed quite safe. Great staff , Awesome venue. Very happy with the day . Bookings more than 2 weeks in Advance: Reserve your session with a $100 refundable deposit. This will hold your places on the field whilst you invite your mates and firm up your actual player numbers. Then 10 days prior to playing simply firm up your player numbers with a $20 deposit per person (less the $100 you have already paid). Should your plans change your deposit is fully refundable up until 10 days prior to playing. Booking at short notice: If booking within 2 weeks just book with the $20 deposit per person. Once booked if you need to add players as you go you can do this online or by calling us. On the Day: Each players $20 booking deposit is simply deducted from each players paintball pack on the day of play. Your group selects either Recruits or Special Forces and then each player selects an ammo pack from that section. It is important to inform us of any cancellations at least 10 days prior to your event as any player who fails to attend on the day will forfeit their deposit. Organise a group of 10 or more players and the organsier plays free! That's free gear hire + 300 paintballs to unload on your mates. Bring 20 players and you can choose to nominate a mate to also play free, or you can choose to receive a double paintball bonus for yourself and start with 600 free balls! Our Standard Gear Hire includes everything you need to play. 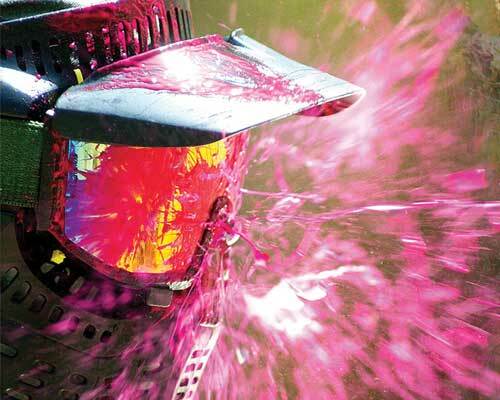 So you receive a thermal lense paintball face mask, semi-automatic paintball gun (fires up to 7 balls per second! ), a battle pack to carry your ammo, and all females also get full chest and back protection. 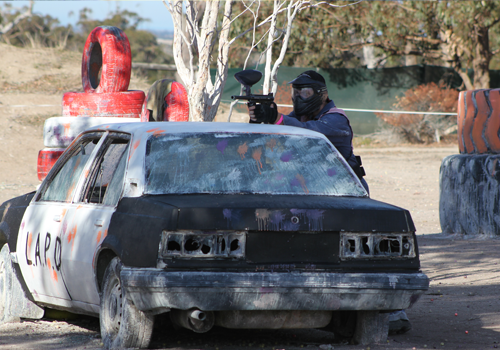 CLOSEST PAINTBALL FIELD TO GEELONG AND WERRIBEE! 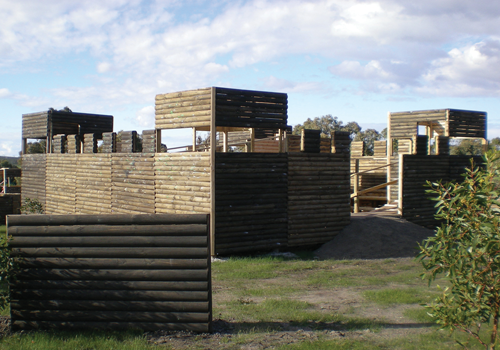 Situated in Little River, between Werribee and Geelong, World Series Paintball Little River is the premium outdoor paintball field in Melbourne. 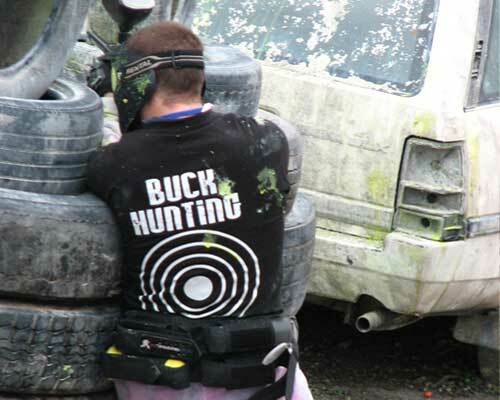 World Series Paintball – Little River, is located at the foot of the You Yang mountain range in Little River just off the Princess Freeway. It is just 40min from the West Gate Bridge and around the corner from Werribee and Geelong.